Ubisoft’s Valiant Hearts: The Great War, their innovative puzzle-adventure game that is set during the First World War, will be releasing on June 25 for Xbox 360 and Xbox One over Xbox Live, and PlayStation 3 and PlayStation 4 over the PSN Store, and for PC. You can check out a new trailer above. 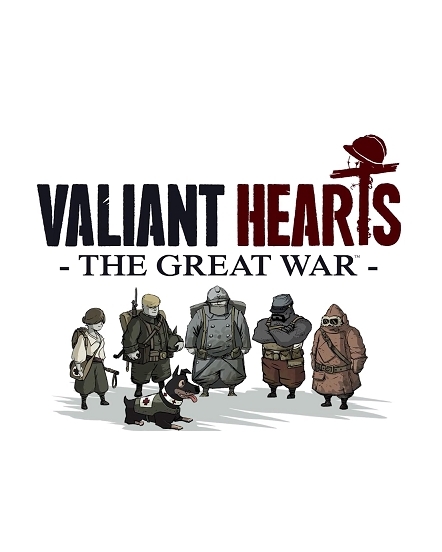 Valiant Hearts: The Great War uses a striking visual style that is powered and brought about by the UbiArt engine, the same engine that brought us Rayman Legends and the excellent, excellent Child of Light, released just last month for PC and consoles. The game is being developed byUbisoft Montpellier, the same people who brought us excellent games such as Beyond Good and Evil, Rayman Origins, and Rayman Legends- so you know it will be great. Valiant Hearts launches next month for PC, Xbox, and PlayStation platforms. No Wii U version has been announced (and honestly, considering how rapidly Ubisoft is pulling back its Wii U support, not very likely either).